Prepared meals delivered to your door step weekly or available for pickup. Healthy & delicious meals made easy. Choose if you want to pickup from our location or delivery. Select the meals you want prepared each week. You can pause your subscription or skip individual weeks. Food is ready every Monday morning for delivery or pickup. Try us for a week. NO OBLIGATION! With SendMeMeals, there is no obligation. Try it for a week and cancel at anytime. Here are some of the popular menu items we offer. 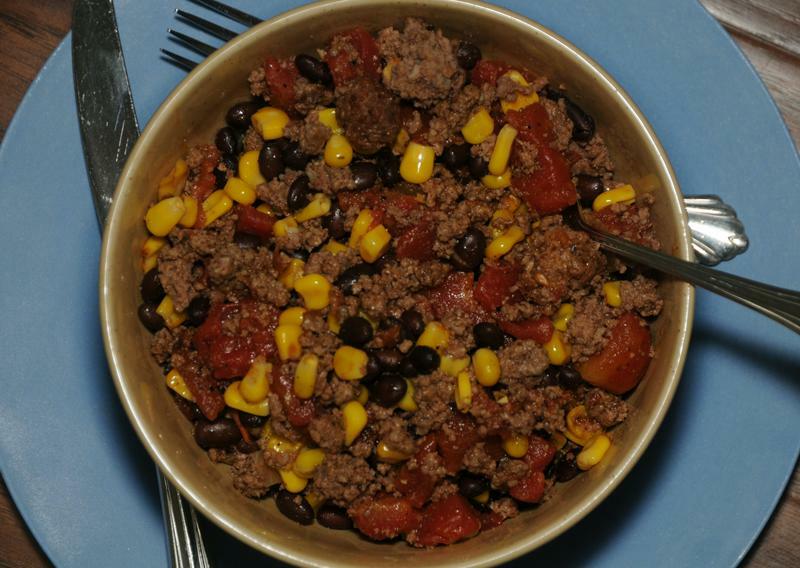 Beef Bowl flavored Tex-Mex style. Loaded with grass fed beef, corn, and packed with flavor. 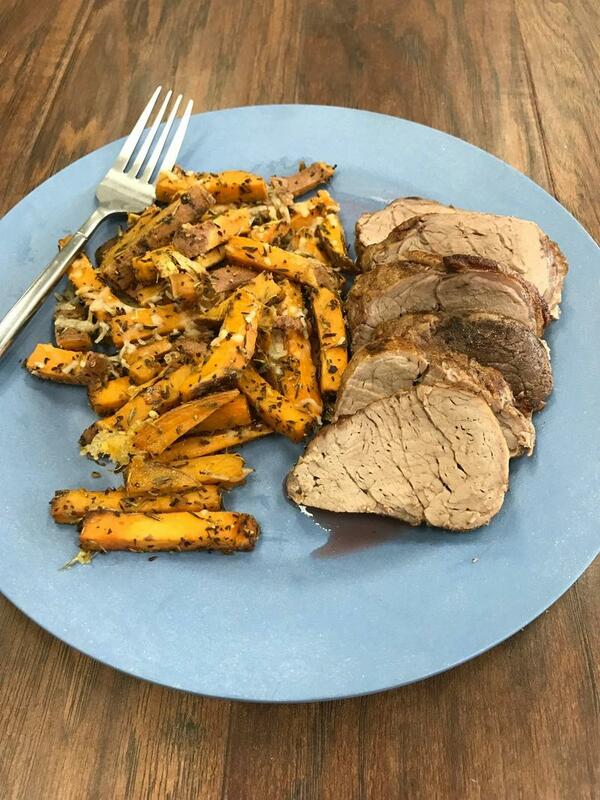 Pork Tenderloin with a savory pomegranate glaze served with baked sweet potatoes flavored with parmesan cheese. Great flavors blend in this rich, colorful dish. 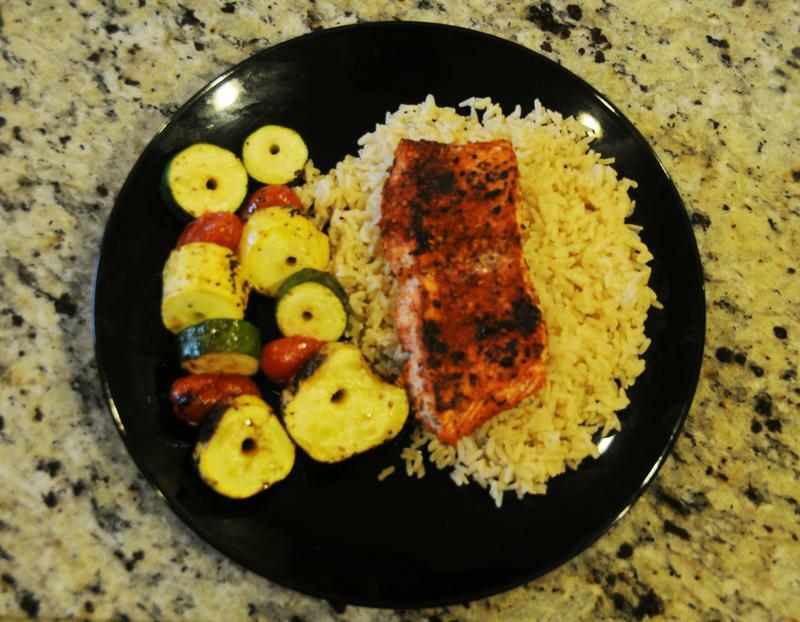 We’ve seasoned a fresh cut of grilled Atlantic salmon with cajun spices, and served it with two skewers of fresh grilled tomatoes, squash, and zucchini. All served on top of a nice serving of rice. 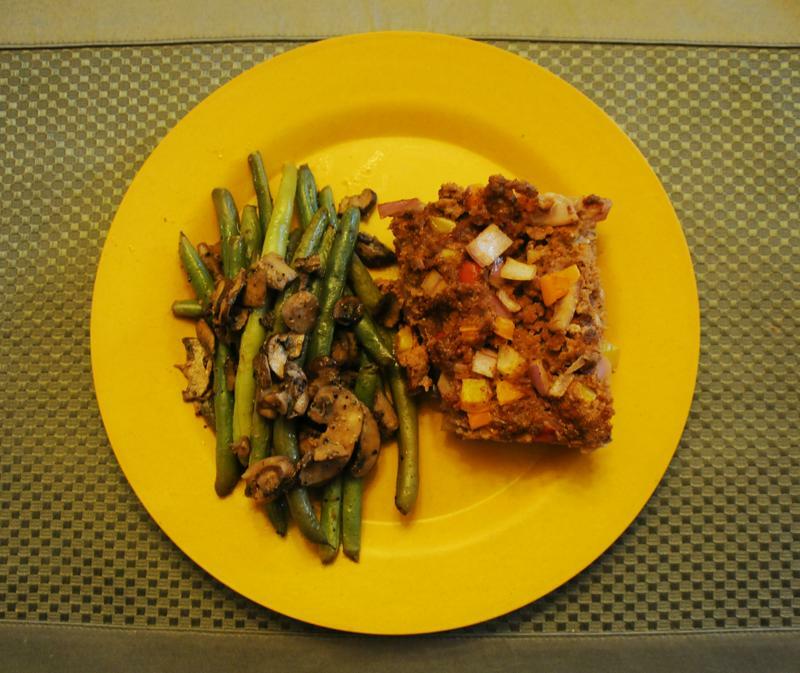 A healthy serving of meatloaf made with 100% USDA grass feed ground beef combined with colorful bell peppers and onions. With a side of green beans and mushrooms. 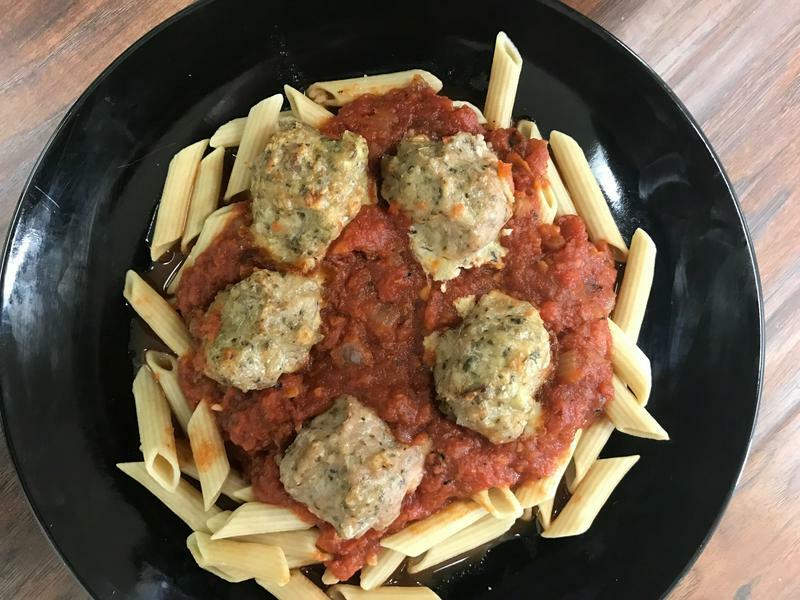 Parmesan flavored turkey meatballs served with whole wheat pasta and a tomato based spaghetti sauce. 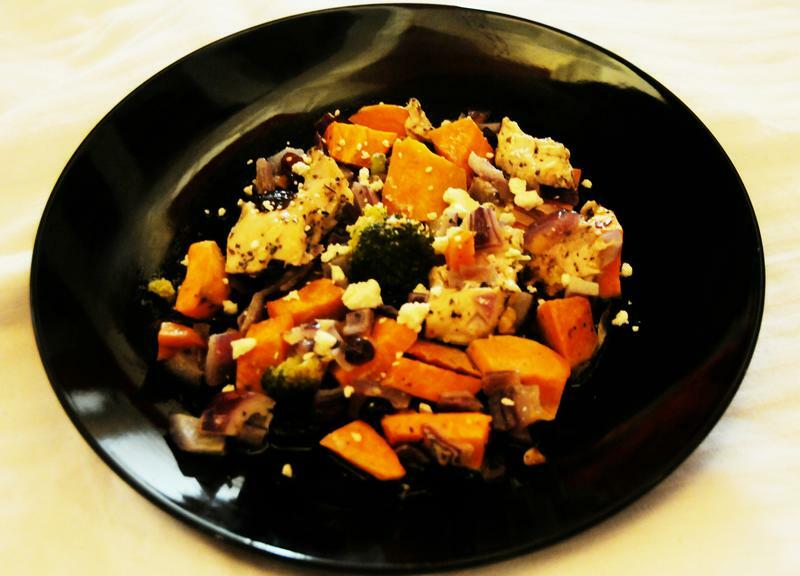 A mix of chicken, sweet potatoes, and broccoli mixed with a variety of complementing flavors and topped with feta cheese. Paleo and Whole30 if consumed without feta cheese. Simple pricing per meal based on number of meals ordered each week. Change order size at any time. Order as little as 4 meals up to 9 meals at this price. You can change your order size from week to week. 10 or More MealsGreat for families. Order 10 or more meals each week and save $0.49 per meal. You can change your order size from week to week. © SendMeMeals.com 2016 - 2019. All rights reserved.